This is a personal curiosity project. I was interested to see what happens if light is trapped inside a spherical object. Using one-way mirrors which reflect 80% of light, light is trapped inside this dodecahedron, a 3D version of a flat infinity mirror . This object is sound-reactive and internet controlled. 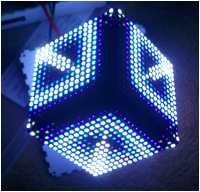 I used laser cutters to shape the edges, 3D printed the custom-designed dodecahedron nodes, used a vinyl cutter to ease the wiring, and programmed the electronics (Arduino / C++, Raspberry Pi / Node.JS). Given away as a gift. Link to presentation and videos . 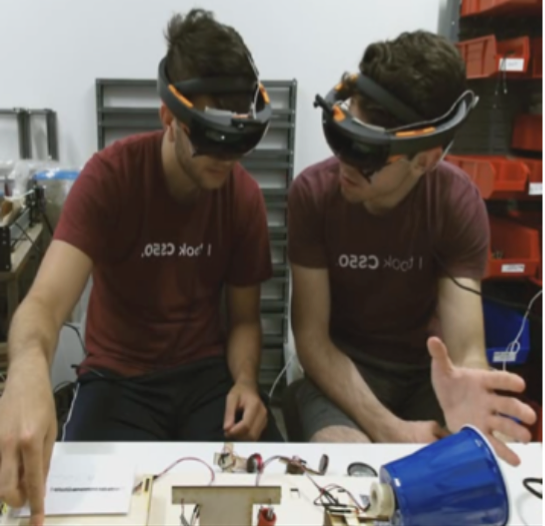 This project explores how a new generation of maker spaces can be enhanced by augmented reality technologies, to create learning environments that enable making with understanding. Maker spaces and digital fabrication labs are synergistic environments where people learn STEM hard skills as well as 21st century soft skills such as collaboration, creativity, problem solving, etc. Maker space activities often involve multiple interrelated physical phenomena (e.g. the flow of electricity, the interaction of magnetic fields, the movement of air pressure waves, etc). In this project we use Microsoft Hololenses to show the invisible phenomena involved in audio-producing speakers. 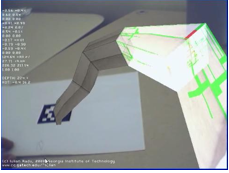 The research involves qualitative and quantitative analysis of collaborative learning captured through a variety of multimodal sensors (Kinect body sensors, physiological bracelets, eyetrackers). Creation of this system involved hardware and software development (C++, C#, Unity3D, Arduino, Raspberry Pi, Python, Hololens). 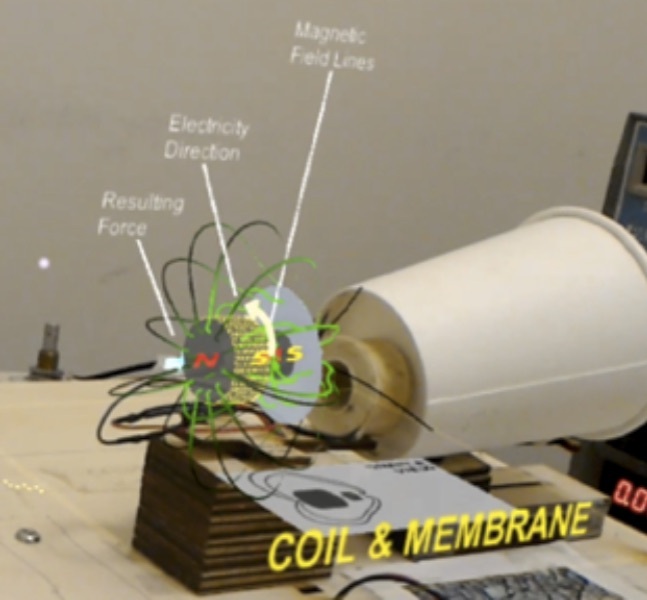 This project is also part of the NSF Making with Understanding grant, which explores how a new generation of maker spaces can be enhanced by augmented reality technologies. 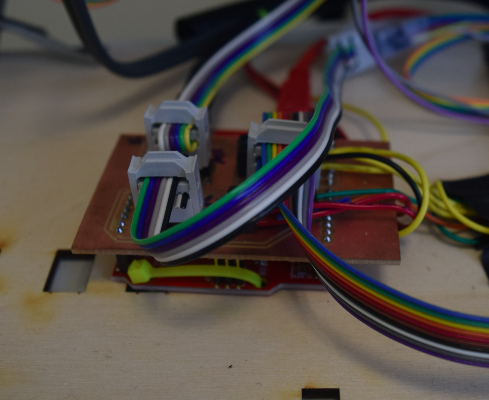 In this work we are developing electronic sensors integrated with augmented reality visualizations, in order to allow novice programmers to more easily understand and debug electronic systems that integrate spatially-distributed sensors and actuators. This work involves user research studies, and hardware and software development (C++, C#, Unity3D, Hololens, Arduino, Raspberry Pi). Radu, Iulian, Ellen Doherty, Kristin DiQuollo, Betsy McCarthy, and Michelle Tiu. 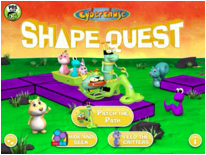 "Cyberchase shape quest: pushing geometry education boundaries with augmented reality." In Proceedings of the 14th International Conference on Interaction Design and Children , pp. 430-433. ACM, 2015. 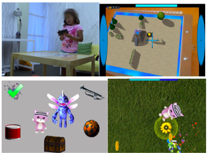 AR Spot is the first augmented-reality authoring environment designed for children. An extension of MIT's Scratch project, this environment allows children to create games which are situated in the real world and controlled by physical interactions. 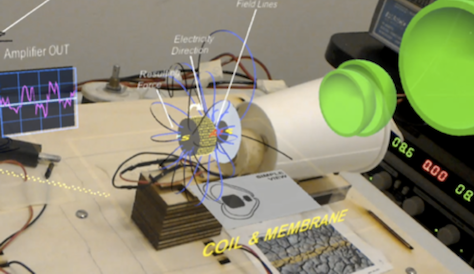 The project explores how interaction metaphors can be used in an interface to match children's cognitive abilities with the capabilities of a complex technology. The project involves iterative system development and user studies. Radu, Iulian, Yan Xu, and Blair MacIntyre. 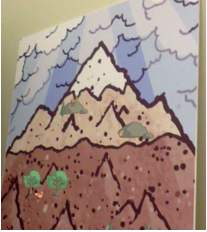 "Embodied metaphor elicitation through augmented-reality game design." In Proceedings of the 12th International Conference on Interaction Design and Children , pp. 412-414. ACM, 2013. Radu, Iulian, and Blair MacIntyre. 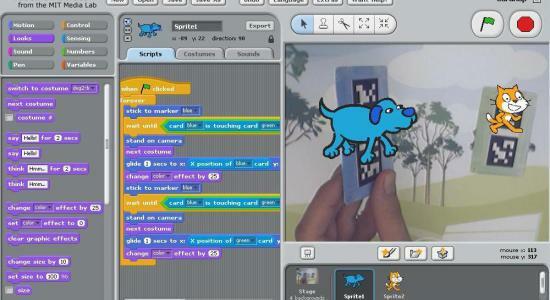 "Augmented-reality scratch: a children's authoring environment for augmented-reality experiences." In Proceedings of the 8th International Conference on Interaction Design and Children (IDC) , pp. 210-213. ACM, 2009. With another colleague, I am developing a set of interactive objects that respond to their environment and each other. Some of these ambient artifacts are standalone, while others are Internet-of-Things enabled. I canâ€™t say much because we are currently commercializing them. One of my friends likes lasers. 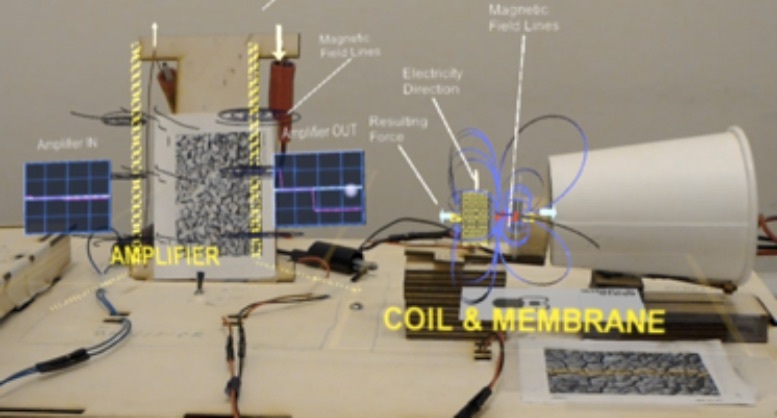 I built this Arduino-based laser system which uses motor-mounted mirrors to create shapes from laser beams. The system can be controlled through gestures (using reflected light sensed by photoresistors) or through knobs. Shapes can be saved into non-volatile memory and can be replayed or edited later, or just enjoyed in a loop. This was built to be given away as a birthday gift. This is my first experiment building a volumetric display. 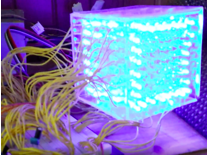 The cube has 256 lights arranged in a 4-layer lattice. It comes with several visualizations such as text scrolling and a variety of pulsing and blinking lights, which the user can control through a simple interface of knobs. Was built to be given away as a birthday gift. In recent years, augmented reality applications for childrenâ€™s entertainment have been gaining popularity, and educational organizations are increasingly interested in applying this technology to childrenâ€™s educational games. In this research we collaborated with teachers in order to explore educational potential for AR technology for elementary-school classrooms. Through interviews, surveys and prototyping activities, this project investigated the topics of: What mathematics curriculum topics should technological innovations address in the Grade 1-3 classrooms? Which of the topics are suitable for AR games? And, how can we facilitate an efficient dialogue between educators and game designers? 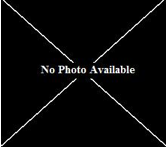 Radu, Iulian, Betsy McCarthy, Yvonne Kao. 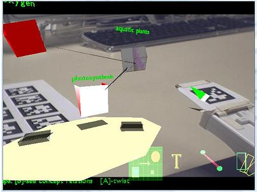 â€œDiscovering educational augmented reality math applications by prototyping with elementary-school teachers.â€� In Virtual Reality 2016 Proceedings (VR), IEEE, 2016. This is an augmented reality game I have built as the main research instrument for my PhD research. It is a smartphone-based game for children aged 5-10 years old. Players take the role of a wizard which must collect a set of magical lemons to create magical items for their pets. Each level of the game is associated with a different AR interaction technique condition, and is followed by various mini-games in which children play with their pet. The system architecture allows data logging and replay/simulation of a childâ€™s entire gameplay; log analysis and visualization tools are built on top of the logging layer to assist in quantitative analysis. The research employs qualitative and quantitative methods to determine the relationships between childrenâ€™s age, developmental skills, and usability of different AR designs. Radu, Iulian, Blair MacIntyre, and Stella Lourenco. "Comparing childrenâ€™s crosshair and finger interactions in handheld augmented reality: relationships between usability and child development" In Proceedings of the 15th International Conference on Interaction Design and Children . ACM, 2016. Through this Android-based AR math game, children 6-8 practice basic mathematics skills through familiar physical interactions. 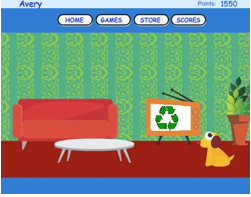 In the game, children manipulate physical game pieces in order to feed a hungry puppy the amount of food it desires on its virtual island. With this project we are exploring design of multi-marker augmented-reality experiences suitable for elementary math classrooms. This is my exploration of generating and morphing 3D meshes. 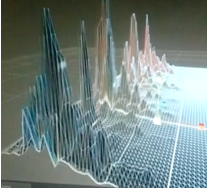 The meshes react to Fast-Fourier Transform analysis of real-time music. 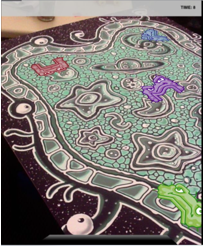 Current plans are to create a variety of shapes and place them in the userâ€™s environment using augmented reality. 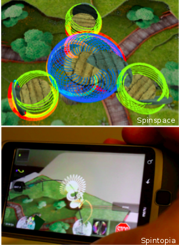 In these two handheld augmented-reality games, children construct 3D structures using different interaction techniques on a phone touchscreen. Through interactions such as pushing buttons on a touchscreen, drawing tracks with their finger, or moving and rotating 3D objects, children construct 3D spirographs in Spinspace and interactive drawings in Spintopia. These games are part of an exploration of interaction techniques suitable for elementary-school children. In this project, we explored the use of transparent displays for embodied learning. Children played a co-located game by standing on opposite sides of a transparent display. The game responded to body motions, and required communication and collaboration in order to complete. This platform allows the execution of ESM (Experience Sampling Method) diary studies on the iPhone. It was designed for performing a series of qualitative studies investigating the future of mobile augmented reality. The system is robust enough to be used for a variety of diary-based studies. 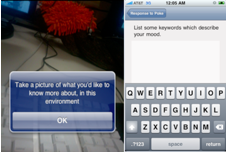 A backend server component periodically sends questions to participants who respond using an iPhone application. The application captures a variety of media and transfers participant data to a website, where researchers can manage and aggregated data. This is an augmented-reality 3D brainstorming system. It is my second AR project, intended to serve as a starting platform for exploring the relationship between cognition and embodied action. In a real-world space accessed via a Wii controller, the user can place objects which represent mental concepts. Concepts can be linked together, and groups/hierarchies can be created. This knowledge space can be further explored through interactions such as moving into/out-of concepts, and interacting with concepts to see causal effects. I. Radu. 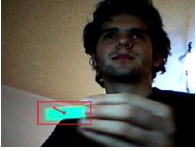 ThoughtPlay: Studying Cognition Through Augmented-Reality Interaction. In Proceedings of the 3rd International Conference on Design Computing and Cognition Conference, Atlanta, GA. June 2008. This system is an architectural tool for constructing 3D environments in real-world spaces using a pointing device. 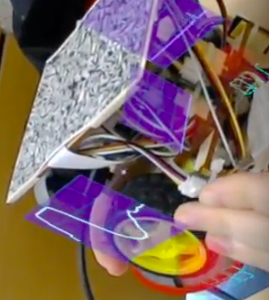 This was my first Augmented-Reality project, and it involved experimentation with AR interaction techniques, such as multi-scale visualization and live modification of 3D shapes. This is a system for visualizing academic activity and collaborations between research institutions. 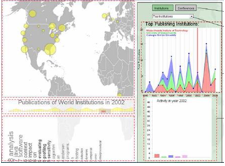 The system aggregates publications from the ACM Digital Library, and provides interactive visualization of institutions ï¿½ publication activity (in terms of publication counts, conference venues, and references made between institutions). SecondMind is an environment for creating intelligent virtual characters. The system is composed of an AI backend for generation of intelligent character behaviors, and a UI frontend through which users demonstrate behaviors and program character personalities. I was part of the initial team of graduate students which developed the concept for this system through iterative high level design, use case development, and user studies. C. Lacey, M. Mehta, I. Radu, A. Jain. "Creating Behavior Authoring Environments for Everyday Users". In the 2009 International Conference on Computer Games, Multimedia and Allied Technology. Singapore. May 2009. ACE is an intelligent tutoring environment for teaching high-school mathematics. 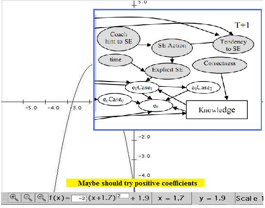 The system models users through a Bayesian network and adapts its behavior to maximize student learning. My work on the existing project involved developing new functionality and utility tools, conducting a user study at a local high-school, performing associated data analysis and interface improvements. 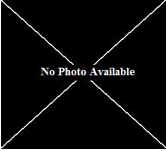 This is a platform for coupling the paradigms of Web Services and Mobile Agents. It is an extension of my honors thesis project, the NEMO infrastructure, to allow mobile agents to make use of Web 2.0 network services. This infrastructure permits network resources to be semantically annotated, such that agents can intelligently perform tasks in the network. A knowledge management interface and visual-programming environment were also developed as part of this project. Iulian Radu, Son T. Vuong. NEMOS: Mobile-Agent Based Service Architecture for Lightweight Devices. International WorldComp Conference: Semantic Web and Web Services. Las Vegas, USA. July 2007. This is a theoretical architecture for semantic resource sharing and discovery over large-scale P2P networks. The paper proposes an algorithm for sharing knowledge between network communities. 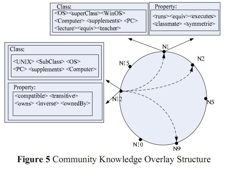 Knowledge is composed of interconnected RDF ontologies whose construction and access is facilitated by a distributed-hash-table infrastructure. Juan Li, Iulian Radu, Son T. Vuong. GODIS: Ontology-Based Resource Discovery and Integration in Grids. IASTED Conference: Parallel and Distributed Computing Systems, Dallas, USA, November 2006. 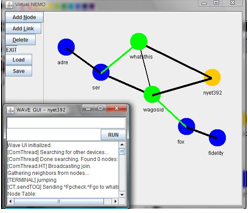 NEMO is a mobile-agent system for lightweight JavaME devices. The system included a common agent infrastructure, as well as a visual debugging and simulation interface. 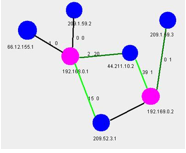 Its application was resource search and discovery over mobile phone Bluetooth networks. The system was deployed on Nokia 6650 phones. My first experiment with computer vision. Motion Fields of Burning Man was the vision of a project to be deployed on the festival playa. 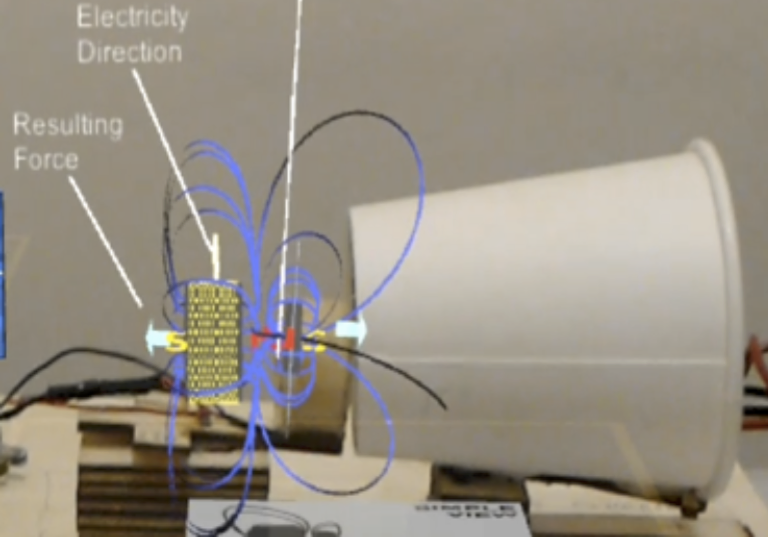 A network of distributed light-emitting robots would modify its appearance in response to sensing beings (detected through thermal or visual sensors), and produce visually stimulating environments. Only the motion-tracking portion of this project was ultimately built . 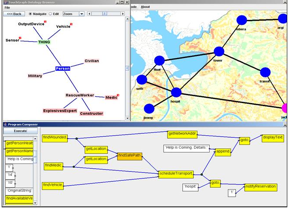 YANA is a web-based network mapping system. A web server operates as a network trace utility which determines the route to all visitors to its website, and calculates the bandwidth of each link along that route. 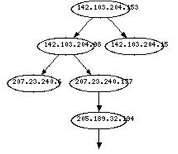 The routes are then aggregated into an online-accessible graph which displays the local network topology. This project involved modification of the VMWare networking device drivers to function as a network monitor and firewall. The modification allowed the drivers to send information to a remote administrator machine, which would monitor and control any network traffic of the virtual machine client. The VMWare drivers were written in C, while the administration software was a network visualization built in Java. My personal OS is a multi-threaded operating system capable of memory management, process scheduling and input/output device simulation. 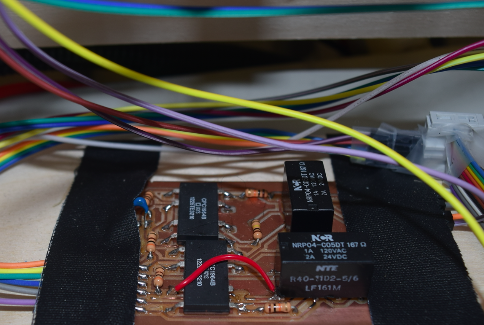 I developed this system on my own as a class project, and later extended it to have a simulated disk file system and keyboard console . In this project, we explored how existing microblogging systems (such as Twitter and Yammer) can be visualized metaphorically, and what effect this has on user emotions and exploratory behaviors. The system performed statistical and emotional analysis on microblogging data, presented users with a metaphorical visualization, and allowed users to interact with the data through the metaphor. This system is an online virtual world designed to increase recycling behaviors of middle-school children. This class project proceeded through a user-centered design process, involving contextual analysis, design of multiple alternatives, implementation, and evaluation/analysis. While learning Adobe Flash programming in my spare time in 2006, I created these interactive animations . 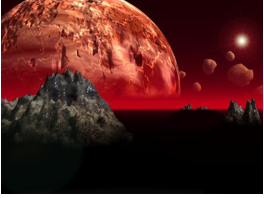 While learning 3D modeling in my spare time, I created these images using Bryce3D. I programmed a network bridge software to connect two network media in my home network (10BaseT and 100VG). The software operated on a dedicated 'silent' computer and contained packet monitoring and filtering capabilities . During my early days of learning about networking TCP and UDP from RFC documents (2000-2005), I programmed simple HTTP and FTP servers in Turbo Pascal which I hosted on my homepage .